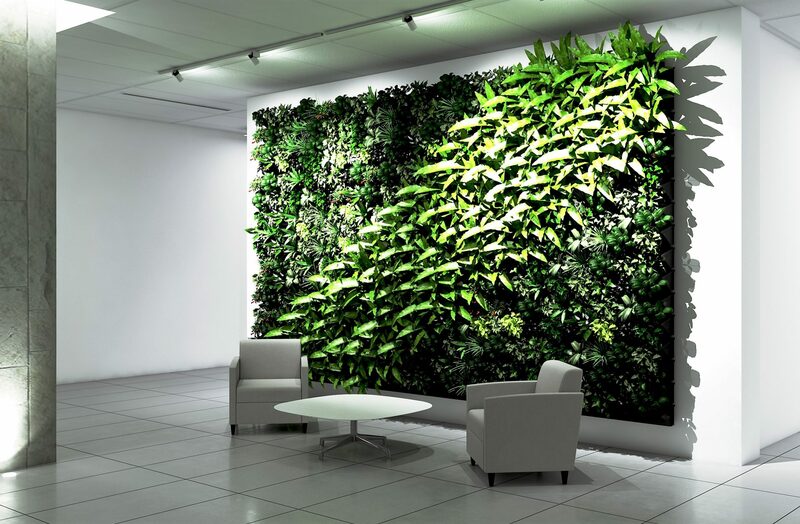 Leaf is a living wall that can be configured multiple ways with a variety of plants. It works with Hydro or Soil Plants in their original grow pots and it is the easiest to install, maintain and rearrange. Plants can be watered on a four week cycle using the optional water machine or by installing a watering system. An option LED lighting system can also be installed to ensure plants flourish.